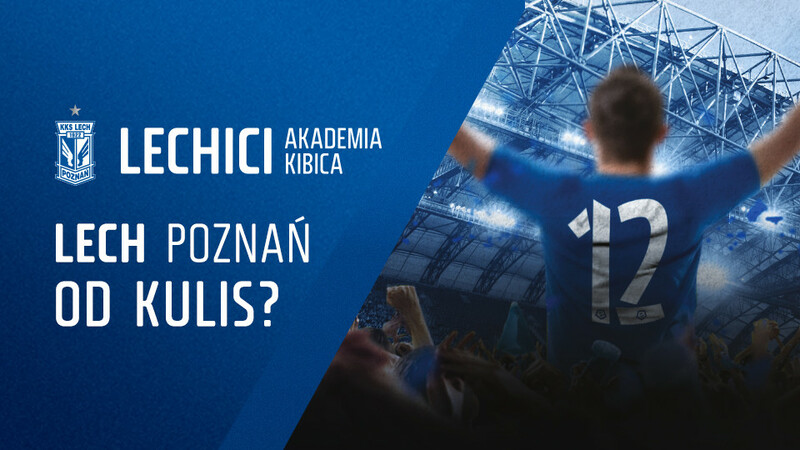 LECHICI is an attendance program prepared specially for Lech Poznan fans. By joining the program, you gain exclusive benefits which enable you to earn points whenever you attend matches or buy club merchandise. You also get discounts and unique prizes that allow you to be even closer to you beloved club. We appreciate the commitment of our supporters, therefore we would like to thank every one of you who takes interest in the club and especially those who sit in the stands. Anyone who supports Lech Poznan and is over the age of 13 can become a member of the LECHICI program. In order to join, you need to create an account here lechpoznan.pl/LECHICI. After you have set up your account, you can start accessing the benefits of the program. We encourage you to link your LECHICI account to your ticket account and online store account since only then the points you earn whenever you attend a match or buy merchandise will be accumulated regardless of where you make a purchase. What is the duration of LECHICI program? One edition of the program lasts throughout one season of Ekstraklasa league. During this time, you can earn points, exchange them for prizes, pay for merchandise and climb up the supporters’ ranks. At the end of the season, you can spend the points you have got left to get a discount on a season ticket or on club merchandise. It’s worth using up all your points since you will lose them as soon as the next season starts. At the beginning of each season, you move back to square one, i.e. Żak rank. Do I need to attend matches in order to be a part of the program? No, you don’t have to go to games. You can simply create an account and at this stage you will already have benefits and will be able to earn points. However, you might notice that attending a match – even if it’s just a single one – will help you climb up the supporters’ rank. And whenever you move up the ladder, you get even more benefits and you’re even closer to the club! How can I set up a LECHICI account? If you already have an account on our ticket website or in our online store, you can set up a LECHICI account with a couple of clicks only. It’s the easiest and fastest way for you to join the program! However, if you haven’t got either of those accounts, you can sign up for the program here › lechpoznan.pl/LECHICI by filling in a registration form. The personal data you need to provide include your name and surname, email address, and phone number. After you have read and accepted Terms and Conditions, you will receive an email with information about your login and password. Why is it important to link LECHICI account with the ticket and online store accounts? Only after you have linked your accounts can we accumulate the points you earn whilst shopping in Lech’s online store and on the ticket website. Therefore, it’s an important step! In addition, linking your accounts is necessary if you want to use the points you earned through the LECHICI program to pay for your purchases. How can I link my account on the ticket website and the online store with the LECHICI account? I have already set up account on Lech’s ticket website an online store. Do I need to register and provide all my data once again? No, there is no need to. Having already created the two accounts, all you need to do is log into one of them and choose the option saying ‘Create a LECHICI account’. You will receive an email with a login and password to the LECHICI program. What is the Identification Number and what purpose does it have? The Identification Number is a unique code made of 13 characters which is generated whenever you create a LECHICI account. The ID code enables the system to identify a fan on the LECHICI website, as well as on the ticket and online store websites. Whenever you want to purchase merchandise in-store or use the points you have earned to pay for the purchases, you will be asked by one of the Sales Advisors to provide your ID number or show a barcode which can be scanned. This way, the person serving you in-store will be able to use the points you have already collected to pay for the purchase or add the points you have earned during that transaction to your account. In some cases, you might also be asked to provide your ID number for identification purposes when you contact Customer Services. Where can I find my Identification Number? Your ID number is available as soon as you join LECHICI program. In order to access it, you need to log into your LECHICI account at lechpoznan.pl/LECHICI and the ID number will pop up on the homepage. In the subpage ‘Your Account’, you can also download the number in form of a barcode which can be shown to a Sales Advisor whenever you make purchases in one of Lech’s stores. In addition, your ID number has also been sent to your email address together with a welcome email that followed your registration. Can I change my email address or update the personal data I provided during registration? Of course! In order to change the email address you provided whilst setting up your account, log into your LECHICI account at lechpoznan.pl/LECHICI, go to the subpage called ‘Your Account’, click on ‘Edit Data’ and enter any changes. Make sure to click ‘Save’ whenever you’re done. Other obligatory data you have provided during registration such as name, surname, date of birth, and phone number can only be changed by contacting Customer Service (you can find an online inquiry form here: https://bok.lechpoznan.pl). If you happen to forget your password and can’t log into your account, follow these steps: go to the website lechpoznan.pl/LECHICI -> click on the button ‘Log In’ -> choose the option ‘Forgot your password?’ -> enter your email, phone number, and ID number -> and then choose how you would like to recover your password – either by email (if you have provided an email address or ID number), or a text message (if you have provided a phone number or ID number). A new password will be sent to you shortly. Meanwhile, if you want to simply change your password, go into ‘Your Account’ located on the homepage after you log into your LECHICI account. Is the program LECHICI going to be accessible through the club’s official mobile app? Yes, of course! We are currently working on an extension for the mobile app which will enable you to log into your LECHICI account through your phone. Keep an eye out for updates! What are the ranks in LECHICI program? Ranks are levels you can reach if you are an active participant of the LECHICI program. Just like any other newly registered user, you start from the rank Żak (Student) and then you advance to the following levels – Młodzik (Nipper), Trampkarz (Youngster), Junior, and the highest rank – Senior. The higher you are, the more benefits and prizes you can enjoy. What does my rank depend on? Your rank is dependent solely on your attendance at Ekstraklasa league matches held in Poznan in the running season. Therefore, the more home matches you go to, the higher rank you will have. SENIOR – purchase of a season ticket or autumn/spring round ticket. Remember that if you purchase a ticket and you won’t attend the match, points for this particular ticket won’t be added to your account and you won’t reach the next level. Benefits are all the guaranteed exclusive advantages you can enjoy once you join the program. Unlike in the case of prizes, you don’t have to pay for the benefits with the point you earn – the benefits are a free gift from us! Some of them, such as earning points when shopping in Lech’s stores (including major shopping malls) or when buying tickets which can be exchanged for prizes, you can enjoy shortly after registering in the program. For a full list of benefits, go to the program’s website. How can I advance to the next rank in the program? Your rank is dependent on your attendance to Lech’s home league matches. You can only advance by purchasing a ticket and going to the game. Remember that if you buy a ticket but you won’t use it – i.e. you won’t attend the match – your rank won’t change. Do season ticket holders have more benefits than those who purchase tickets for a single game? Of course! Season ticket holders who join the program LECHICI are automatically ranked as Seniors. It’s the highest rank in the program and only those with a season pass can be classified as a Senior. Apart from the standard guaranteed benefits which go with a season ticket, we also added additional advantages of being a Senior, including exclusive prizes. All ranks are revoked at the end of the season. Hence, all participants of the program start the new season from the lowest rank, i.e. Żak. The only time you can lose your rank during the season is if you purchase a ticket for the autumn round – and automatically become a Senior – but decide not to get a pass for the spring league round. In this case, you would start the spring league round as a Żak. What is the purpose of points? Points earned in the program enable you to get exclusive rewards. In addition, you can use the points you earn to pay for a season or individual ticket and for any purchases in Lech’s stores. You earn points whenever you make a purchase in one of Lech’s official stores, also online. In addition, you also gain points when buying a ticket, but only if you attend the match! When it comes to tickets, it doesn’t matter where you purchase them – you can do it at the stadium, online, or from a third-party source – since you only earn points once you come to the match. The points are added to your LECHICI account once the game you attend ends. In the future, we would like to expand the program in order to reward those who engage with the club with additional points. How are the points I earn added to my account? When are the points added to my account? Points earned for a purchase made in one of Lech’s stores are added to your account within 24h of the purchase. Meanwhile, points gained for attending a game will appear on your account in less than 48h after the match ends. If you notice that you haven’t received your points within that time, please contact Lech’s Customer Service by going to the following website: https://bok.lechpoznan.pl. All you need to do to check how many points you have is log into your account here: lechpoznan.pl/LECHICI. Once you have logged in, you will see the total points earned and your current rank. In order to access a detailed history, go into ‘Your Account’ and click on ‘Order History’. Do I have to use the points I earn within a specific period? One edition of LECHICI program lasts one season. You can use your points at any time throughout the season. Whenever the season ends, the points you accumulated can be used to buy a season ticket or club merchandise. Do I also earn points when shopping online? Yes, of course! The points earned for online purchases are added to your account automatically as long as you log into your online store account and it’s been linked with your LECHICI account. If you buy tickets online, you get points after you have attended the match. If I use a discount code or voucher, will I still get points for my purchase? If you decide to pay for the purchase using only the points you earned, a voucher or discount code and the remaining sum to pay will be 0 PLN, you will not get any points. However, if you decide to use your points, a voucher or a code just to partially cover the costs of the purchase, you will get points for the remaining sum that you ought to pay. See the Points Calculator to know exactly how many points you will earn after your discount. I am buying a gift for a friend. Who will receive the points – me or my friend? You only earn points for individual or season tickets if they are in your name. However, if you are shopping in Lech’s online store, you earn points for all the products you buy, including gifts. Can I earn points for the purchases I made before I registered in LECHICI program? You start earning points the moment you create a LECHICI account. All previous purchases don’t count in the program. If I don’t have the barcode with my LECHICI ID number or don’t remember it, but still want to make a purchase in-store, will I earn points for the transaction? If you shop in-store, you need to provide your LECHICI ID number, otherwise you won’t receive points for this purchase. I am a season ticket holder. Will I also earn points for matches that aren’t included in my ticket? Currently, the program only works for Ekstraklasa league matches. We will be informing you about any upcoming updates! Most importantly, you can exchange your points for exclusive prizes available to LECHICI only. In the subpage ‘Prizes’ located on LECHICI website, you will find a list of rewards you can get using your points only. In addition, the points you accumulate can also be used to pay, or partially pay, for club merchandise and individual or season tickets. Using your points in the online store: log into your account -> pick the products you’re interested in and add them to your basket -> at the checkout, enter the number of points you would like to use for your purchase -> finalize the transaction. Remember that your online store account needs to be linked to your LECHICI account! Using your points to purchase tickets online: log into your account -> choose the tickets you want to buy -> proceed to checkout -> choose how many points you want to use for every ticket in your basket -> finalize the transaction. Remember that your ticket account needs to be linked to your LECHICI account! You can use the points you earn at any point throughout the program’s edition (i.e. the league season). How many points do I have to accumulate to be able to use them? Every 100 points you accumulate gets you a 1 PLN discount for your purchases. Whenever you want to use your points in-store or online, you can choose how many of them you would like to exchange for a discount which is proportional to the points used. If you want to exchange points when buying tickets, you can use a round number of 100, 200, 300 (...) points which will lower the prices of your tickets by, respectively, 1 PLN, 2 PLN, 3 PLN (…). Can I use my points while shopping online? Yes, of course you can, as long as you make sure that 1) you have an account in the online store or on the ticket website 2) you are logged into your account when making online purchases (guest users can’t earn points for their purchases) 3) your online store and/or ticket account is linked to your LECHICI account. Can I return a product or ticket I paid for using points? The conditions that need to be met to return a product or ticket, or receive a refund, are stated in the Terms and Conditions of Ticket and Season Card Sales and Terms and Conditions of KKS Lech Poznan Online Store. If the club decides that the refund request aligns with the Terms and Conditions, the points you used to pay for the product or ticket will be refunded directly to your account. Prizes are exclusive gifts you can get or events you can attend as a participant of the LECHICI program. Most of the prizes are only available to the program members. Thanks to these prizes, you can be even closer to your club than before! You can find a list with descriptions of the prizes available throughout the season here: lechpoznan.pl/LECHICI. Why are only some prizes available? Every prize is available to a particular rank – Żak, Młodzik, Trampkarz, Junior or Senior. In the section ‘Prizes’, only those which are highlighted are available to the rank you’re currently occupying. You can get prizes which are devoted to lower-ranked LECHICI members, however, those gifts which are only available to higher-ranked users will remain inaccessible for you until you advance higher in Fan Academy, even if you earn enough points to exchange them for the particular prize. How can I buy a prize? Most importantly, you need to be occupying the rank which is required in order to access the prize. The higher you are in the Fan Academy, the more prizes are available to you. Apart from having earned the necessary rank, you also need to accumulate enough points to buy the particular prize. If you have met the conditions described, all you need to do is log into your account at lechpoznan.pl/LECHICI, pick a prize that you’re interested in (and familiarize yourself with its description where a number of useful tips can be found), click ‘Order’, go to your Basket and click ‘Finalize Order’. You will receive a transaction confirmation to your email along with the steps you need to follow to claim your prize. I bought a prize. What do I have to do to claim it? First of all, make sure you read the detailed description of the prize. In there, you can find the information regarding the collection of your prize. After completing the order, you will receive an email with transaction confirmation. In the email, you will have further information regarding the prize you bought. If it’s an individual prize, make sure the personal data associated with your account – i.e. email, phone number – are up to date since we are going to contact you regarding the prize. Similarly, in the case of group prizes, make sure your details are correct. However, with the latter it might take longer before you can enjoy your prize since a specific number of participants needs to buy the prize before it can be claimed. You will receive regular updates from us. I bought a group prize. What if the required number of participants isn’t met? If the number of people who bought the prize is smaller than expected, the prize will still be claimed on the scheduled date but simply in a smaller group. How do I pick a date to attend an event such as a meeting or workshops? If the date has already been determined by the club, it will be provided in the description of the prize and we will send you a reminder to your phone or email. However, if the date of the event is dependent on the number of participants of organizational matters, we will inform you about the date through email or text message. Meanwhile, if you have chosen an individual prize, we will call you to determine a date that suits you. I bought a prize, but I can’t make it that day. What should I do? Don’t worry, if the date of the prize’s realization doesn’t suit you, contact us and together we will see if the next available date is better for you or if you would rather exchange it for a different prize or receive a refund of the points. However, since we offer prizes which enable you to be even closer to your club, you need to remember that some of the dates are dependent on the team’s matches, training sessions, etc. Therefore, the dates we can offer are limited. I don’t have enough points to buy my dream prize. Can I pay extra to get it? Prizes can’t be bought using money. If you want to get a prize, you have to accumulate a specific number of points and occupy a required rank. Do I have to claim the prize myself or can I give it to another person? Of course, you can give your prize to another person. If you know someone who would really enjoy a particular prize, contact us with this person’s details. Can I return the prize I bought or exchange it for a different one? In some circumstances, we can exchange a prize for a different one of an exact or similar value. In rare cases, you can receive a refund of your points. In order to make an inquiry, contact Customer Service through this link: https://bok.lechpoznan.pl. I have been collecting points for a particular prize but it’s no longer available. How can I know if it’s going to reappear on the list of available prizes? Due to the specificity of the prizes we offer, many of them are limited. If a prize is no longer available, it means that it’s been sold out. However, it might happen that we will decide to bring it back. You can contact us with your question and in the meantime see the remaining prizes, perhaps one of them will be of interest to you. I have an idea for a tangible prize. Can I pass it on to the club? We would love to hear your idea! You can contact us through the following website: https://bok.lechpoznan.pl.